John Bunyan (1628–1688) was a Reformed Baptist preacher in the Church of England. He is most famous for his celebrated Pilgrim's Progress, which he penned in prison. Bunyan was author of nearly sixty other books and tracts, including The Holy War and Grace Abounding to the Chief of Sinners. Mike Wimmer is an award-winning illustrator of many children’s books, including Robert Burleigh’s One Giant Leap and Stealing Home. C. J. Lovik graduated from Westmont College California with a degree in Education and Communication and taught elementary school in Southern California. After teaching for many years, he started a manufacturing business and developed an online family-friendly Internet search engine. The Pilgrim's Progress: From This World to That Which Is to Come is Lovik's first book. "This classic has refreshed my spirit time and again when my soul has longed for Christ-centered guidance through a maze of modern detours and diversions. I'm so grateful this special edition of The Pilgrim's Progress is now available to not only a new generation of Christians but to believers like myself who need direction and refreshment along our journey toward Home." "If any smoothing of Bunyan's seventeenth-century language plus new colored pictures can set Pilgrim's Progress aglow in the hearts of today's young readers, this lovely book will surely do it." "Every generation is heir to John Bunyan's timeless allegory, and to each generation falls the task of commending this tale anew. The collaboration of editor C. J. Lovik and illustrator Mike Wimmer has yielded a book that could well be a classic for our time. With great care, Lovik has combined the best elements of Bunyan's rich, evocative prose with accessibility for the modern reader. And in Wimmer, Bunyan has met his illustrator for the twenty-first century. The thirty illustrations that grace this edition are a world in themselves-the equal of any that appear in J.R.R. Tolkien's books." 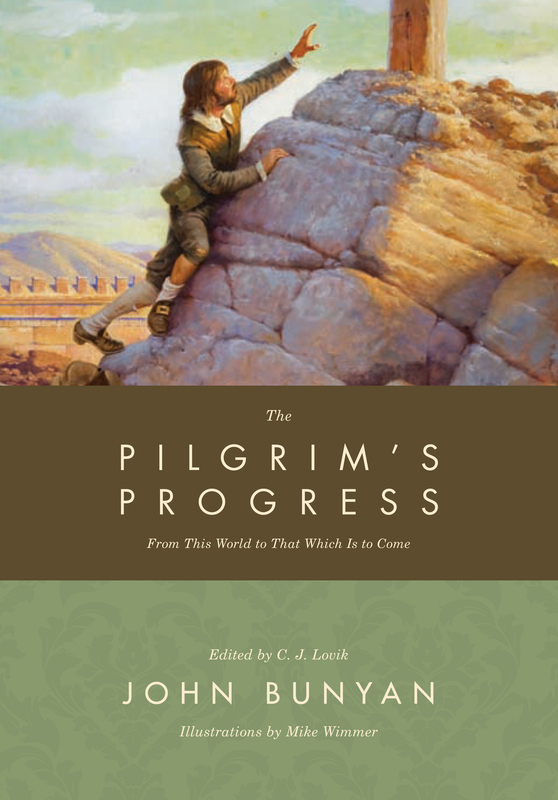 "If you are looking for a classic edition of The Pilgrim's Progress, with a simplified form of Bunyan's original text, traditional color illustrations, and explanatory notes, this is undoubtedly the version for you." "For two centuries following its publication (Part 1 in 1678, Part 2 in 1684), The Pilgrim's Progress gained the status of best-read book (apart from the Bible). This magnificent production by Crossway with stunning illustrations by Mike Wimmer should help reinstate Bunyan's classic allegory to the status it belongs. It should be a question we ask ourselves: Have I read The Pilgrim's Progress? If not, repent immediately, for in taking up this volume you will find pastoral insights from a pastor of souls to help you discover the biblical way of salvation and aid you in the journey home." "C. J. Lovik's new edition of The Pilgrim's Progress almost takes one's breath away. The text is readable, the notes are clear, and the illustrations are absolutely beautiful. This is a book to be in everyone's library and will definitely occupy a prominent place in the libraries provided for Rafiki's children and adults in Africa. It is a joy to know that Lovik's edition of the Bunyan classic will be read by and to thousands of children throughout the world." "This is one of the best books I've ever read." "The Pilgrim's Progress has long been a favorite of many. Now there is even more to love with this beautiful, updated edition. Editor's notes clarify the ideas in John Bunyan's classic allegory, while footnotes show where in Scripture Bunyan found them. The detailed color illustrations will delight both new readers and long-time lovers of this beloved tale." "Like countless others, I have been greatly influenced by The Pilgrim's Progress. Charles Spurgeon called it 'next to the Bible, the book that I value most.' It has already inspired generations, and I am confident that this new edition will inspire the rising generation. It is refreshingly readable while remaining true to this timeless classic. 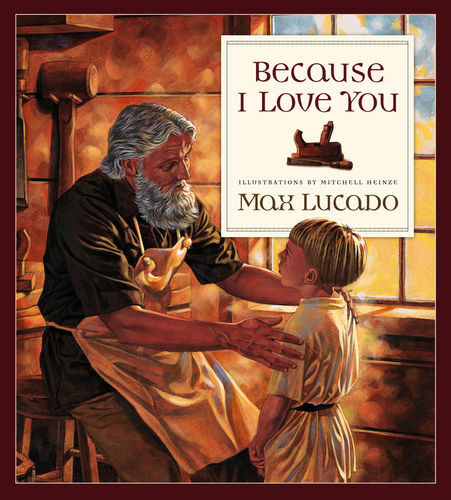 The illustrations, Scripture references, and study notes make it a superb resource for family devotions and study groups." "The longer I journey through our dear Immanuel's land, the more grateful I am for John Bunyan's 'dream' and the cruel imprisonment that occasioned it. What a gift weary travelers have been given in this precious, timeless classic-and what beauty, insight, and encouragement was borne out of his suffering! Unafraid to challenge the outward trials of moralism, materialism, and persecution, humble enough to confess his own doubts and despair, Bunyan leads us on our way to the Celestial City we long to see. And what a gift modern readers have been blessed with in C. J. Lovik's careful editing and Mike Wimmer's luminous illustrations! This book is beautiful! The Pilgrim's Progress has always been a cherished treasure, but this edition makes Christian's story-our story-sing! I'm so thankful for it!" "If a picture truly does speak a thousand words, this version of Pilgrim's Progress will be the best of all. Combining the beauty of Mike Wimmer's illustrations with this timeless classic is a stroke of genius."